On the website of FreePress.net, there is an ominous message: “We have two weeks to save the internet.” FreePress is a non-partisan organization, based in western Massachusetts, which advocates for an internet that was not controlled by corporate interests. Until recently, the Federal Communications Commission (FCC) protected the access of internet users. Thanks to “Net Neutrality,” internet service providers had to treat all users equally. The ISPs could not “pick winners and losers,” by speeding up some users and slowing down others (and charging you if you wanted faster service), or blocking content they didn’t like, or making it difficult to access certain websites. But then Donald Trump got elected, and that meant a new head of the FCC. Now, that agency has revealed that it will start deregulating equal access to Internet and dismantling Net Neutrality. The new chairman of the FCC is Ajit Pai, and he has long been a critic of the Net Neutrality policy. Pai’s position has always been that market growth matters, and we don’t need a law to assure an open internet. He believes the ISPs will voluntarily be fair to consumers. The issue seems to be that this administration is putting a priority on corporate interests rather than consumer interests, taking away regulation, in the belief that big companies will do the right thing on their own. But there is no evidence they will and there might be financial reasons why they would want to charge certain heavy users more or make certain sites more expensive than others. The Internet is no longer a luxury: it is integrated into everything we do, and without equal access to all portals, who knows what kind of inconvenience this could have on our lives. Experts in the field of telecommunication, including scholars like Susan Crawford, author of the book “Captive Audience: The Telecom Industry and Monopoly Power in the New Gilded Age,” believe the U.S. is falling behind in areas such as Wi-Fi, because large companies are deciding who gets high-speed internet and who does not. But these days, without access to high-speed internet, you can’t apply for a job, or do research you need for courses (and many courses are online too), or search for medical information, or so many other daily uses. Thanks to allowing the telecom companies to make the rules, we are at a disadvantage, compared to other countries. For example, Crawford notes that our broadband service is slower and more expensive than many other countries. Now more than ever, we need high capacity, high speed access, and it must be available to everyone. Without net neutrality, there will be an even wider gap between the haves and the have-nots. I know from personal experience how this has impacted my life. As an off campus commuter student, I pay approximately 70 dollars for access to Wi-Fi in my house; and I know several of my friends who pay even more than I do. When I was arguing the cost of the Wi-Fi, the Xfinity employee claimed I was getting the second to highest possible speed of internet access, but if I wanted to upgrade to the highest possible speed it would be an extra 30 dollars. So now, every time I do research in my house using WiFi, I am doing so 30 percent slower than someone else in the world. And it’s not just me and my friends. A lack of affordable rates, due to corporate control, will affect small start up companies that are forced to pay premium prices they can not sustain, or fall behind on orders or services because of slower internet speeds; but without Net Neutrality, telecommunication companies will have the power to favor larger companies that use more data and can pay more for service. This will put small businesses at a disadvantage. Public libraries could also be negatively affected. They provide the community with an equal opportunity to learn; without Net Neutrality, they might be charged more for certain content. And Net Neutrality also affects minorities; in rural or urban schools that cannot afford premium Wi-Fi, schools will be unable to provide students with the online learning tools they need. 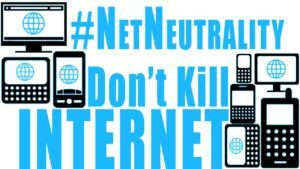 And if you are a blogger, keep in mind that without Net Neutrality, an ISP could decide to block or slow down speech it considers unpopular or wrong. This issue seems incredibly pressing, and yet, despite being shared by hundred of social media accounts, including the incredibly popular millennial brand “Barstool Sports,” it seems that many Lesley students are not informed on this issue. In a random polling of 30 students, over half chose “I do not know what this is,” when asked if they agreed or disagreed with Net Neutrality. One student who is familiar with this issue is Grace Ahn, a third-year student, majoring in Counseling. But she only learned about it from one of her professors: “Before taking Introduction to Journalism, I must admit that I did not know what net neutrality was, and [its] impact… [on] society. Now, I understand why net neutrality is important and why the media is even more important in today’s society. It is a crazy thought that people of power, and big companies, could possible control the pace of people gaining information.” And yet, that could happen. 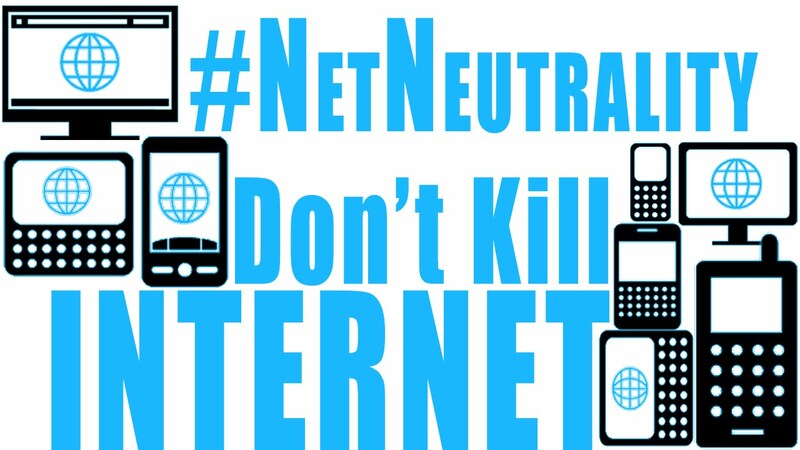 The FCC is scheduled to vote on whether to do away with Net Neutrality on December 14th.